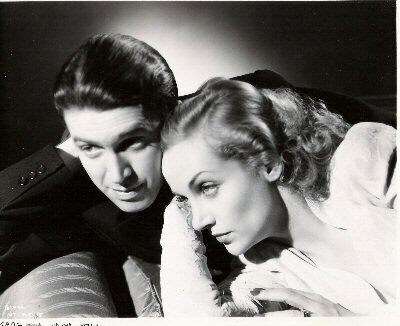 Well-done weepie with James Stewart and first-billed Carole Lombard as newlyweds who manage to stick together despite escalating problems. Lombard is driven nuts by Stewart’s overbearing mother (Lucile Wilson), who lives with them; Stewart’s law firm so takes him for granted that he’s forced to cut his honeymoon short to take an important case. The scene in which Stewart and Lombard try to break the news (that they have impulsively gotten married) to his mom is great. The movie becomes a bit much near the end, when the couple’s baby gets sick and the medicine has to be flown in on a dangerously snowy night. Still worth a rental for fans of the two leads; Stewart is touching as a man who feels completely powerless to provide for his wife or to improve his standing. He made Mr. Smith Goes to Washington and Destry Rides Again the same year. This is in the public domain, so you can find a wide assortment of DVDs of variable (usually terrible) quality.